You are here: Home / Blog / OKR / OKR vs KPIs, What is the Difference? KPI, or Key Performance Indicator, is one those three-letter acronyms that seem to be used by every organization on the planet. It is only natural that people question the difference between OKR vs. KPIs. The challenge is that “KPI” can mean different things for different people, which is confusing. Over the years, I have experimented with different ways to answer this question, and I have finally found one that seems to resonate with people, so I decided to write about it. The first thing you have to understand is that OKR is a system that forces you to separate what really matters from the rest, and set clear priorities. To do that, you have to learn to say no — a lot. This approach is a significant departure from the way many organizations track results. Companies often have a monthly meeting where employees go over page after page of KPIs, in a mind-numbing exercise that can last for hours. There is so much going on that employees lose sight of what is important. They are drowning in a sea of metrics and conflicting priorities. My advice clear: Don’t Forget the K.
The letter k in KPI – and OKR – means key: few, a handful, the most important ones. The use of KPIs was supposed to force you to separate what really matters (the key indicators) from the rest, but many people forget that. If you have 30 so-called “KPIs” you don’t have any – you just have indicators. That is why in OKR we limit the number of Key Results. I agree with my friend Christina Wodtke: an individual team or “squad” should have just one Objective in a given quarter, with up to five Key Results. OKR is not about tracking everything that you do. Otherwise, company OKRs would have to include Key Results for keeping the lights on, cleaning the office, etc. An excellent way to understand the difference between your OKRs and day-to-day work is to think about the goals that you have in your personal life: you may want to save money for a trip, spend more time with your family, or lose weight. I bet that buying groceries is not one of your goals, but you still have to do it. And if your trips to the supermarket start to take up so much of your time that it starts to jeopardize your personal goals, you have to change how you do them. When people say they can’t achieve their OKRs because the everyday work gets in the way, it’s because they didn’t understand it. Good OKRs force you to reevaluate low-priority or non-value-added activities, and reduce, automate, or outsource them so you can focus on what really matters. Don’t let day to day work get in the way of achieving what matters most. Different roles will be able to dedicate more time to OKR than others. 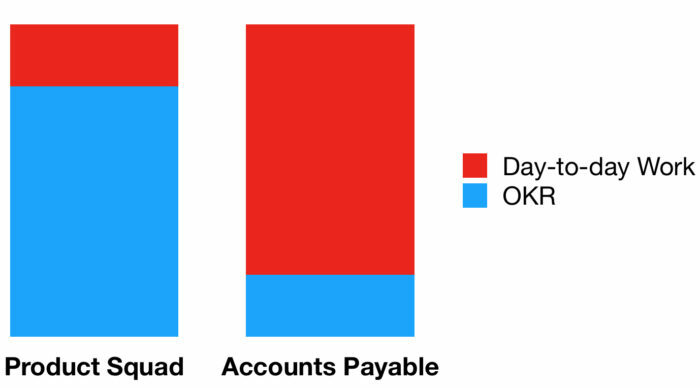 For example, a product squad may dedicate 80% of their time to OKR and 20% to day-to-day work, while someone in accounts payable may be in the opposite situation: 20% of their time is dedicated to OKR and 80% to day-to-day work. This is just a hypothetical example and not a guideline. Those numbers can vary a lot depending on the context. OKR is not about tracking everything that you do, but it is not about focusing on one thing and dropping everything else either. 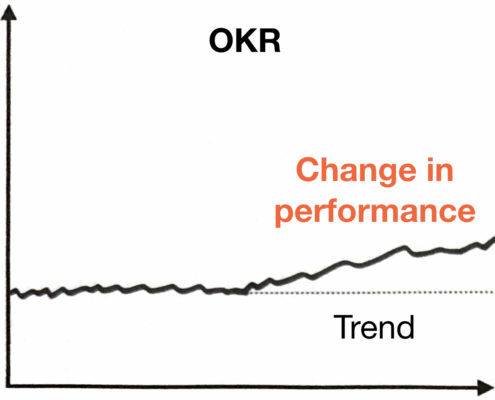 OKR is about creating sustainable change in performance. This means that gaming the system to produce a temporary improvement is not enough. OKR is about changing behaviors, systems, tools, or processes so that you can maintain new levels of performance. But you have to do that without dropping everything else, so you should achieve your OKRs while the other aspects of your business maintain their previous levels of performance. 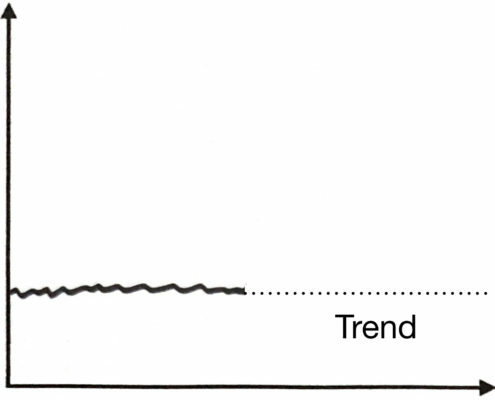 What happens when a metric/KPI that is not on your OKRs starts to drift away from the previous trend? Then you need to act on it, and you may even have to include it on your OKRs to ensure that it goes back to where it should be. And if something is unstable, you can create an OKR to get it back to that “steady state.” To understand how to do this in practice, let’s take a road trip. Imagine you want to go on a road trip. The first thing you need to decide is where you want to go, so you use a travel guide and choose to travel from San Francisco down the Pacific Coast Highway. After you have decided where you want to go, you get into your car and input the destination on your GPS, which will help you track if you are on the right path and course correct if necessary. Finally, as you drive to your chosen destination, your car also has a dashboard that tracks lots of other metrics and will tell you, for example, the amount of fuel that you have. As long as the dials on the dashboard are within certain thresholds, you don’t care about them – what matters, after all, is getting where you want to be. But if your dashboard shows that you are running out of fuel, then you have to adjust your course and find a gas station. 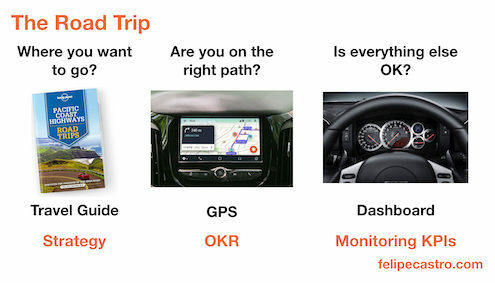 Monitoring KPIs are the dials on the dashboard of your car – they tell you if everything else is OK. Monitoring KPIs are sometimes called health metrics, as they help you track the overall health of the business. Think of them as medical checkups: you will measure them regularly, and you may report them too. But as long as they remain within predefined thresholds, you don’t have to act. I am trying to find the best term to describe the metrics that will not be part of your OKR. Which term do you prefer? How About your Existing KPIs? 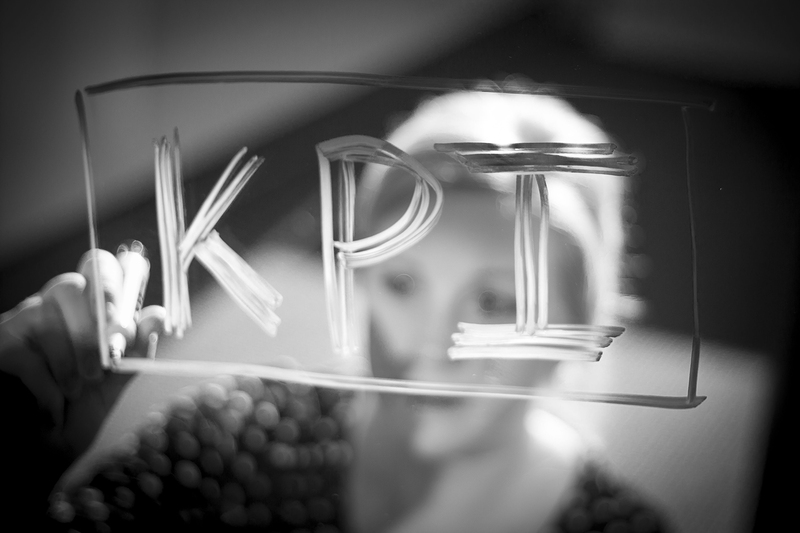 What should you do with your current KPIs? A small number of your existing KPIs are the ones that matter the most, and they will become part of your OKR (your GPS). Please understand that your priorities may change from one quarter to the next, and your OKRs will represent that. While KPIs tend to be the same quarter after quarter, OKR is adaptive and may change to help you focus on what really matters now. Most of your existing KPIs are just things you need to monitor, and they will be part of your dashboard. You will track them regularly, and you may report them too, but as long as they stay within certain thresholds, you won’t worry about them. Finally, some of your existing KPIs will have to be replaced or abandoned. They may be irrelevant or merely bad metrics – for example, indicators that simply track activities instead of business outcomes. Ultimately, success is proven when behaviors have changed, and you don’t need to include that topic on your OKRs anymore – all you need is some basic business rigor to ensure nothing is dropping. More importantly, when everyone in the organization understands the why behind the OKRs. Do you have any comments or questions about this post? Any suggestions on how to make it easier to understand? Please email me at info@felipecastro.com.